Weird stuff happens. Sometimes really weird stuff happens. And sometimes freaky weird stuff happens–the kind of events that just don’t fit the imaginable. What we call here a Black Swan (and capitalize it) is an event with the following three attributes. First, it is an outlier, as it lies outside the realm of regular expectations, because nothing in the past can convincingly point to its possibility. Second, it carries an extreme ‘impact’. Third, in spite of its outlier status, human nature makes us concoct explanations for its occurrence after the fact, making it explainable and predictable. I stop and summarize the triplet: rarity, extreme ‘impact’, and retrospective (though not prospective) predictability. A small number of Black Swans explains almost everything in our world, from the success of ideas and religions, to the dynamics of historical events, to elements of our own personal lives. The key to preparing for Black Swans rests in understanding the way events are statistically distributed over time. 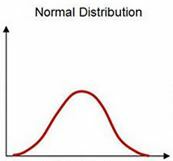 Unlike the normal distribution found in many phenomena, such as SAT scores, other phenomena follow what is known as a power law distribution, with many small events and few large events. Think forest fires. Black Swan provided a compelling account of the problem of over-relying on normal distributions to explain the world. For problems defined by “fat tail” power laws that have outlier events way out on the tail one would not find on a normal distribution, sooner or later an event at the end of that tail is going to hit, and it’s going to be big. 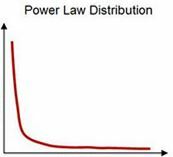 So, planning for some policy problem based on a normal distribution can lead to under-preparation if in fact the problem follows a power law distribution. What’s the lesson? 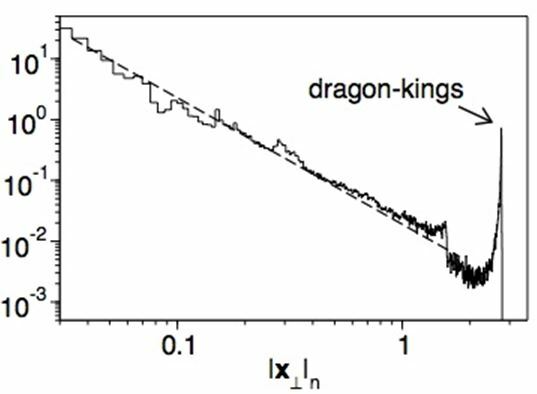 The key to Dragoon Kings is that they are the result of the same system properties that give rise to the power law, but violate the power law because those properties have become arranged in such a way as to create severe instability in the system–a systemic risk of failure. When all feedback in the system has harmonized in the same self-reinforcing direction, a small, seemingly non-causal disruption to the system can lead to massive failure. As Sornette puts it: “The collapse is fundamentally due to the unstable position; the instantaneous cause of the collapse is secondary.” His assessment of the financial crash, for example, that, like other financial bubbles, over time “the expectation of future earnings rather than the present economic reality that motivate[d] the average investor.” What pops the bubble might seem like an inconsequential event in isolation, but it is enough to set the collapse in motion. “Essentially, anything would work once the system is ripe.” And the financial system keeps getting ripe, and the bubbles larger, because humans are essentially the same greed-driven creatures they were back centuries ago when the Tulip Bubble shocked the world, but the global financial system allows for vastly larger resources to be swept into the bubble. The greater concern for me, however, lies back in the physical world, with climate change. Sornette did not model the climate in his study, because we have never experienced and recorded the history of a genuine outlier “climate bubble.” But the Dragon King problem could loom. We don’t really know much about how the global climate’s feedback systems could rearrange as temperatures rise. If they were to begin to harmonically align, some small tipping point–the next tenth of a degree rise or the next ppm reduction in ocean water salinity–could be the pin that pops the bubble. That Dragon King could make a financial crisis look like good times…. Several posts ago I outlined the “stationarity assessment” model for assessing the impacts of social, economic, technological, and environmental change scenarios on law and legal systems. The idea is that fields of law develop over time based on long-settled ranges of variability in relevant contextual factors, and when forces of change stretch that variability range too far, new legal orders may be needed. An example comes from the likely impacts of climate change, which have prompted many resource planners to declare that “stationarity is dead,” meaning that conventional planning assumptions no longer operate. In the same way, some impacts of climate change will disrupt the stationarity assumptions of particular legal fields, putting pressure on law to evolve. Another agent of change for law comes not from the stretching of existing variability regimes, but from the introduction of altogether new phenomena previously thought to be highly improbable–the black swans, as Nassim Tabad describes them in his award winning book of the same name. These are the kind of no-analog, “unknown unknowns” that land with a big footprint. In the case of disrupted variability regimes, such as fire, drought, and storm frequency, at least the phenomena we are envisioning are familiar and there is a history of managing them upon which to build new solutions. With black swan problems, by contrast, we have no prior management history–they’re completely outside the box. Here again climate change provides an example, in the form of sea level rise.